Voxare String Quartet's Naxos recording of Polish-American composer Mark Nowakowski's string quartets. 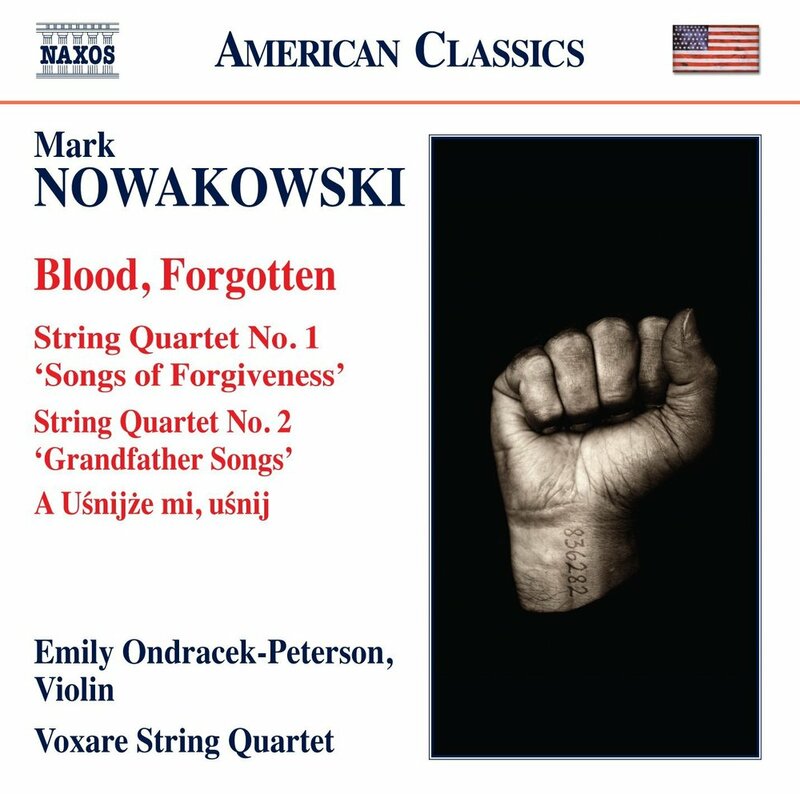 Blood, Forgotten is an important album of works by the Polish-American composer, Mark Nowakowski, that celebrates the strong spirit of survival. Nowakowski's String Quartet No. 1 and Lullaby were written for the Voxare String Quartet, while his String Quartet No. 2 was written for and premiered by the Kronos Quartet. "The Polish-American composer evokes dramatic and psychological atmospheres as if Bartók and Shostakovich were looking over his shoulder, but with his own sense of urgency, rhythm and colour."